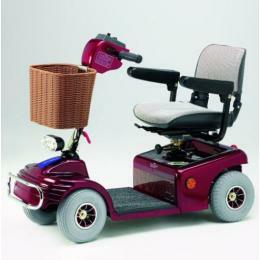 The Deluxe Mobility Scooter is a four wheel model with maximum stability for both in and out doors use with an adjustable fully padded seat for extra comfort. The easy to use handlebar control panel incorporates a "soft action" thumb lever for forward and reverse motion. The scooter features fully automatic electronic braking for safety and security and a free-wheeling device allows the scooter to be pushed if needed. Front and rear lights for night use. Optional crutch / stick holder available. 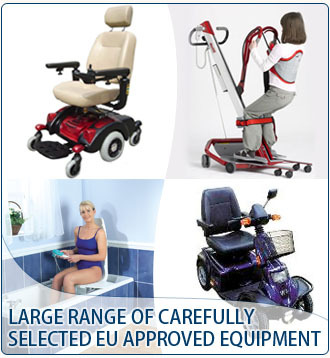 The Grand Deluxe Mobility Scooter is recommended for clients who require a larger scooter with a carrying capacity of up to 150 kg. 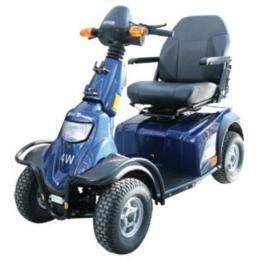 This four wheel model with maximum stability for both in and out doors use with an adjustable fully padded Captains seat for extra comfort. The easy to use C type tiller steering control incorporates a "soft action" thumb lever for forward and reverse motion. The scooter features all around suspension, full light set with indicators, automatic electronic braking for safety and security and a free-wheeling device allows the scooter to be pushed if needed. 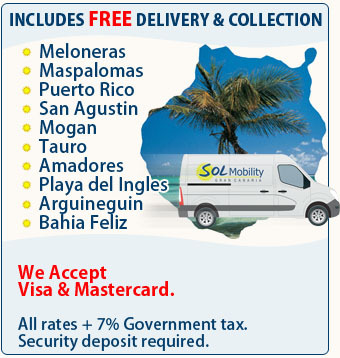 For clients requiring the very best in quality, comfort and holiday mobility our top of the range four wheel Premier Scooter is the selection of choice. 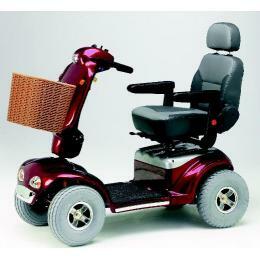 With a full outdoor capability, ergonomic layout of controls and ample power you can travel with ease and style. The Premier Scooter is designed and manufactured to the highest standards to offer outstanding performance, safety and comfort. With limited availability booking early is recommended. *Tested for static stability 15 degrees. *Tested for dynamic stability 10 degrees.